Punti Island Provincial Park was established as a result of the Cariboo-Chilcotin Land-Use Plan Goal 2 (Special Feature) process. The island contains a variety of undisturbed grassland species and has remained largely ungrazed, owing to its location on a small island. 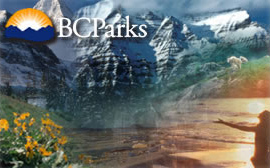 The park is located approximately 120 kilometres west of Williams Lake.